PURE COLLOIDS | Gescina The Chemistry of Nature Inc.
Gescina The Chemistry of Nature Inc. Wide spectra of positive impacts for health and overall well-being carry pure colloids of Gold, Silver, Copper, Zinc, Palladium, Iridium,Platinum, and few more “catalytic” elements. Those elements able to accelerate speed of number chemical and bio-chemical processes. Wide applications for human body health and well-being started relatively recently. Limitations come with absence of reliable reproducible technologies for production of such high-quality colloids and proper valuation of their impacts in many cases. While polemics still continue, positive results are there and grow fast in numbers. 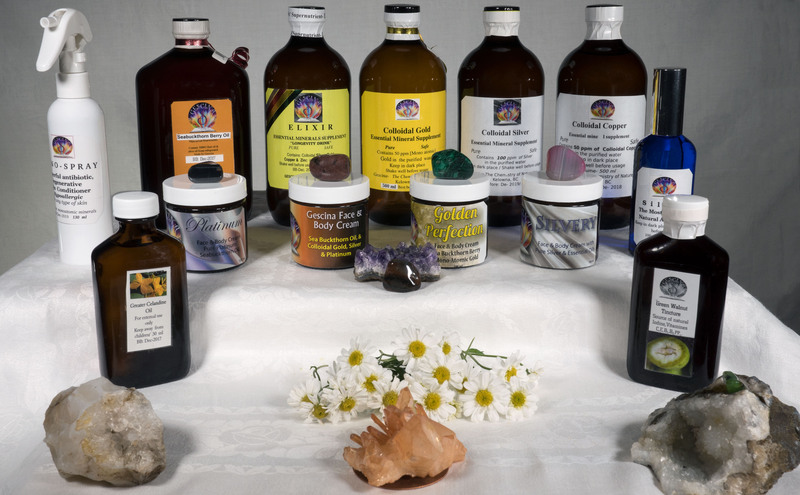 Especially well-tested Colloidal Silver, the earliest colloid applied for human healthcare. *This area of business we started about 9 years ago, having previous professional knowledge. Gescina’s special formulas based on proprietary technology, special water preparation, and delicate processes. These are not ionic salts of metals, but high quality truly pure colloids, that do not contain any non-food impurities. Pure colloids contain high amounts of nano-size (from 2 to 100 NM) particles of Gold, Silver, Copper, Zinc or Platinum. 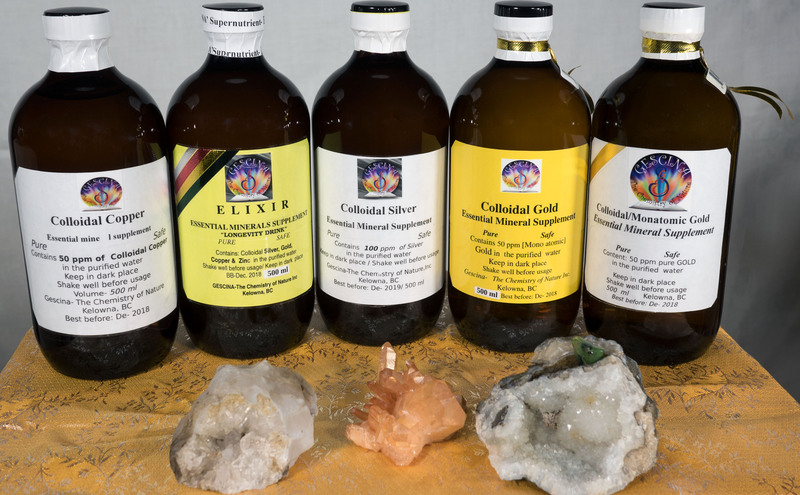 We produce high quality colloidal Gold, Silver, Copper, Zinc, Platinum,Iridium, Palladium, ELIXIR (formula contains 4 elements- Gold, Silver, Copper and Zinc), at various strength (from 10 up to 150 ppm).